﻿ Wake Nation Cincinnati - Ohio. Find It Here. 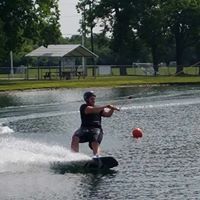 Wake Nation Cincinnati is one of only 9 places in the entire country where you can wakeboard, water ski, kneeboard, and wakeskate WITHOUT a boat. The entire park is designed to provide the ultimate ride experience for both for first-timers and experienced riders. New for 2010 is The Practice Pond, a second lake just for beginners. It features an easy start system that makes it easier than ever to learn how to ride. Its so easy that kids age 5 and older can now ride too!Wake Nation Cincinnati is open daily until 8:00 p.m. from April through October. 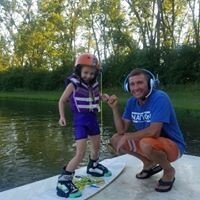 Please visit www.wakenation.com or call us at (513) 887-WAKE for more information.